Happy Easter I’ve enjoyed my read and I love your blog. 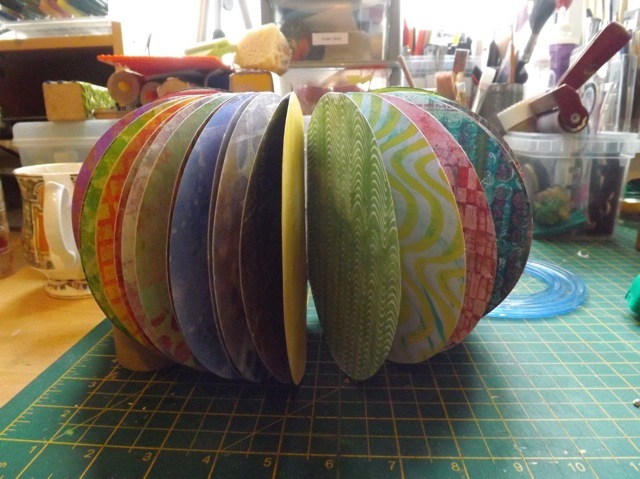 I have those Creative Imaginations circle cutters. I still use them and love them. Your book is turning out great. 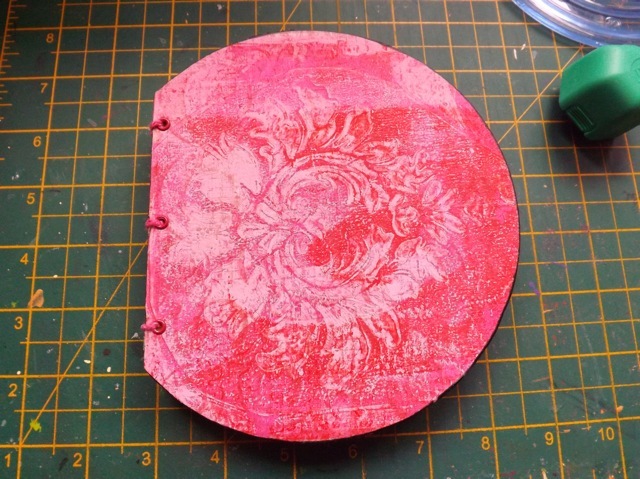 I think your book is great and you have given me inspiration to gelli the back of the 30 or so prints I have done and turn them into a book rather than a pile of pretty papers! I think your book looks wonderful! 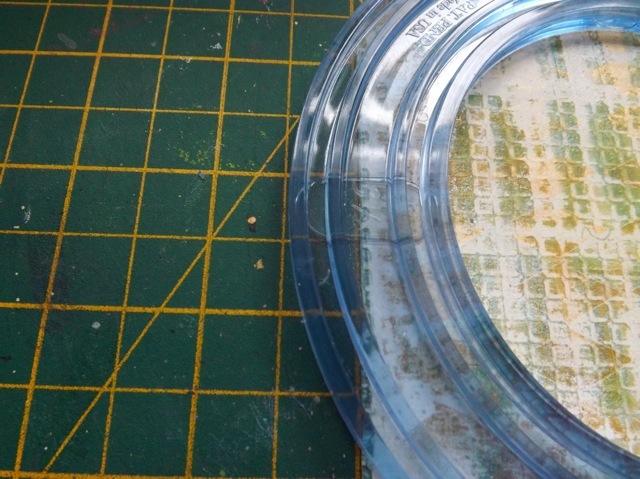 I hear that the Coptic stitch is simple to do, but for some reason I’m intimidated by it, lol! I can do a simple pamphlet stitched book though! You make such wonderful things that I’m sure that anything you do will be marvelous!! 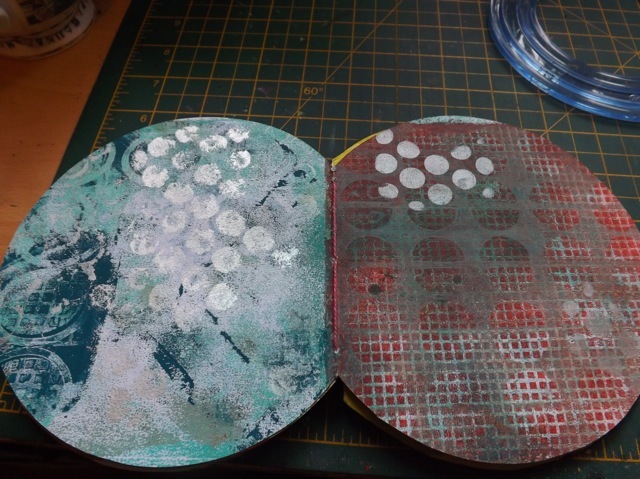 Both the Gelli pages and the bound book are Beautiful! Looking forward to seeing what you do with it from here. 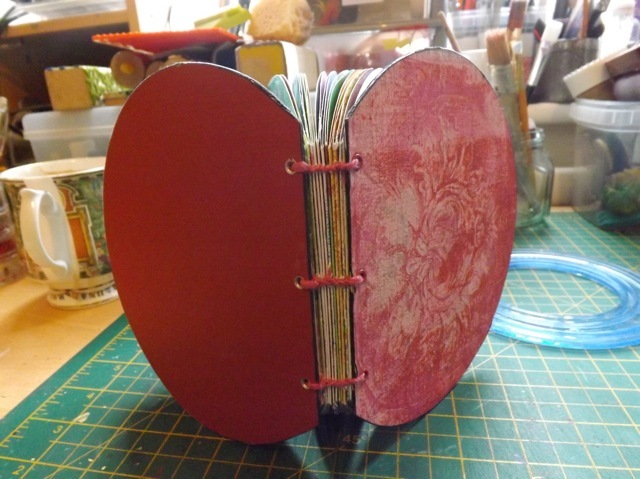 I think it’s an amazing HAND-MADE book – love the binding, the pages, the printing! Thank you for sharing your creativity! You did awesome. I agree with Julia’s assessment. 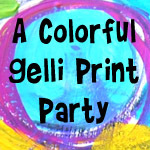 I need to get out the gelli pad. Thank you for sharing. 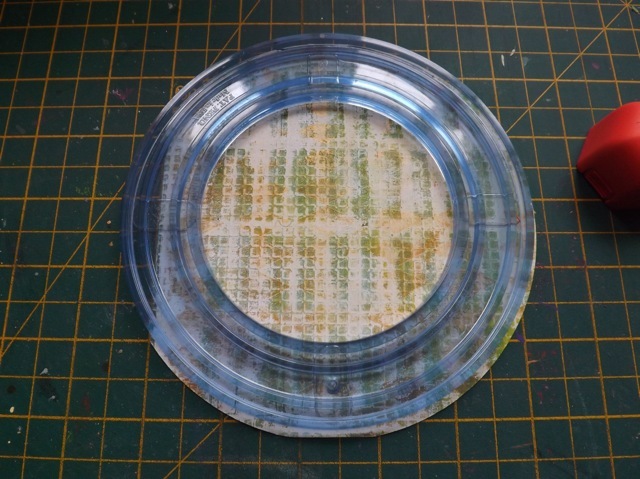 It’s a thing isn’t it – there are certain things that I can deconstruct by looking…but altering as I go when making my first attempt…oooh I don’t know,. I think that’s why people with your natural sense of enquiry are around..you do the legwork and because you’re a sharing person, people like me benefit. No doubt too – that you get to our age and you know yourself well enough to know that you’re going to make changes as you go – it’s wired into you – so you don’t get all uppity if it doesn’t finish up like the original…for you that would be boring, for me it would be a miracle! I like the book, the fact that it’s now a bound book is the triumph to me…I would so not have got around to that in this century!